Biscuits! One of my all time favorite pastries to make and eat. If I could have these for breakfast, brunch or coffee everyday I honestly would. When Bulletproof (my favorite high performance company) reached out to me and asked me to create 4 specific pastries for them I pinched my arm for a few hours until I had to get down to work (I only had a few days and a deadline) to bake and come up with: 1. A savory empanada 2. A biscuit 3. A scone (my fav also!) 4. something seasonal (like pumpkin). It is truly amazing that when you have a deadline and a VERY specific list of ingredients that you can use (and a HUGE list of what you can’t use) magic happens. I remember feeling terrified and ecstatic at the same time and thankfully I have been in way too many stressful situations in my life to know that when I have a challenge I don’t get paralyzed and over deliver. So I ended up really enjoying the process and came up with 6 of my ultimate favorite healthy (functional) pastries I have ever made. I remember going to bed feeling completely satisfied and fulfilled (which doesn’t happen that often). 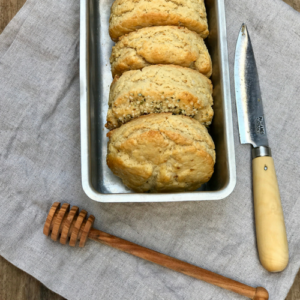 So here is my biscuit recipe I shared with Bulletproof (stay tuned for all the 6 recipes, I am just updating my website and photos), I hope you love them as much as Erin my husband and me. Please make them and share your photos on Instagram and tag me at @chefvanessamusi I would love to share your photos! And also.. I used my Thermomix (a cooking food processor) to make these, which makes it so fast and easy. You will need a food processor. Flaky, buttery, soft and just the right texture. 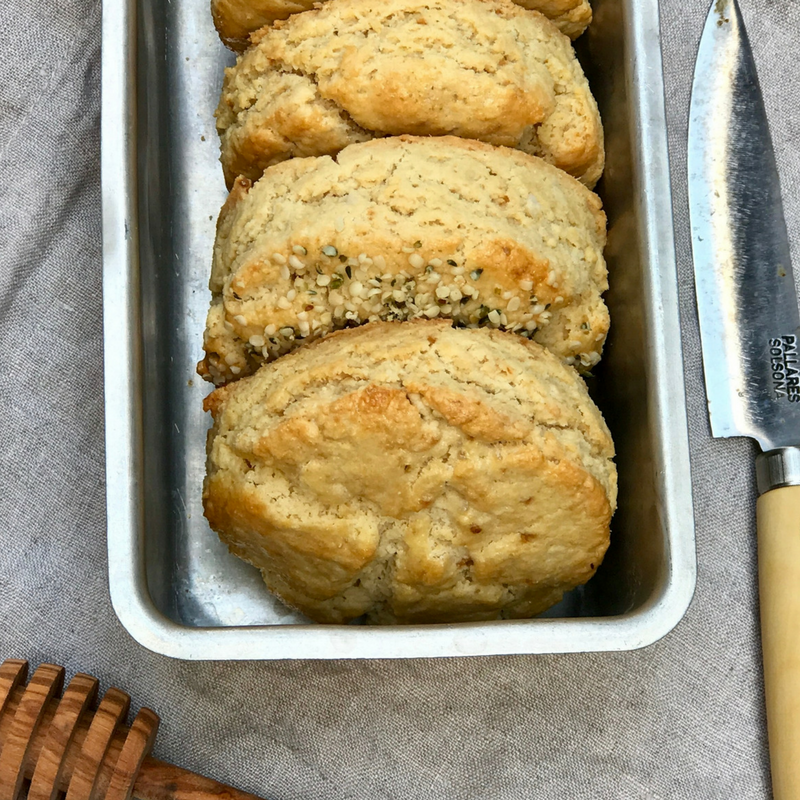 Bulletproof scones are: #glutenfree #dairyfree #lowcarb #lowglycemic see notes for a savory version of the recipe. Preheat oven to 375 F. Prepare a perforated tray with a silicone mat or parchment paper. Put all ingredients in the Thermomix or food processor and process at low speed until combined. Do not over mix. Remove the dough and put onto a silicon mat such as a Rollpat. Roll out the dough with a with a rolling pin until the pastry is 2.3 -3 cm thick or so. Cut with curly round biscuit cutter preferably (I used ). Put the biscuits on the baking tray, varnish with the egg wash and sprinkle with: flax seed, hemp seed or leave natural. Bake 10 minutes (it is important NOT to over bake) they must be tender and these tend to cook quickly. Remove and chill, slice, accompany with ghee (clarified butter) and jam or date or nutella candy. Note: you can add chopped fresh herbs such as: chives to the dough before baking aprox 2 tablespoons. Hey Buddy!, I found this information for you: "PALEO BISCUITS". Here is the website link: https://www.vanessamusi.com/paleo-biscuits/. Thank you.